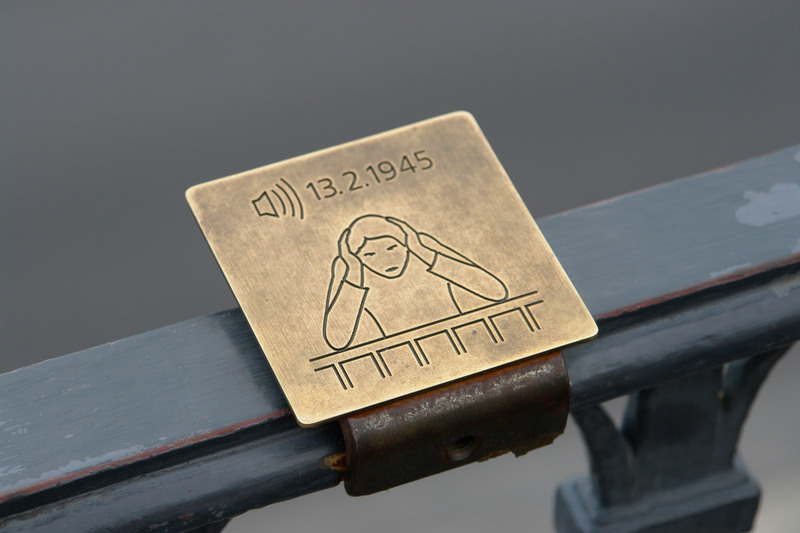 Using bone conduction, a technology developed for hearing devices, the touch echo installation transmits sounds of the cities which were devastated in the 1945 carpet bombing in the Second World War, through the arms of the visitors when they rest their elbows on the balustrade and hold their ears closed. 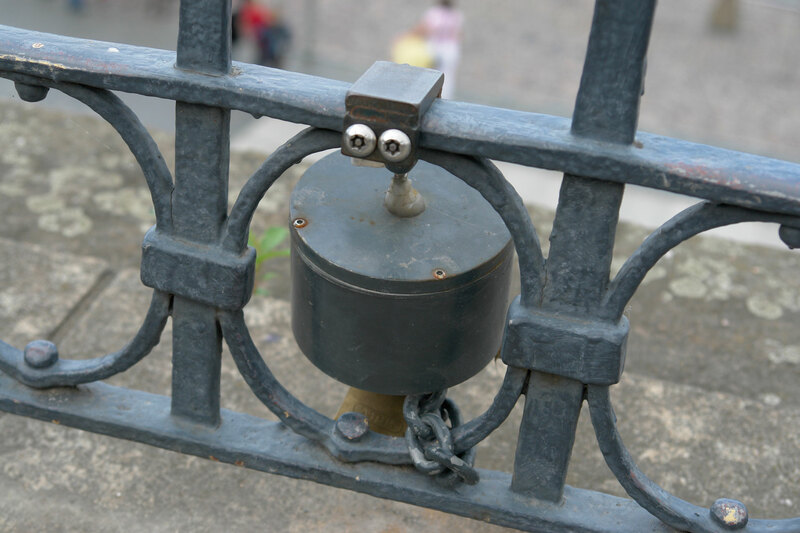 Several custom-made sound conductors mounted to the railing send sounds of airplanes and bombs exploding through vibrations; it is completely silent unless you touch the railing. The installation touched echo is a minimal media intervention set within a public space. The visitors of Brühl's Terrace in Dresden are taken back in time to the night of the terrible air raid which devastated their city February 13, 1945. 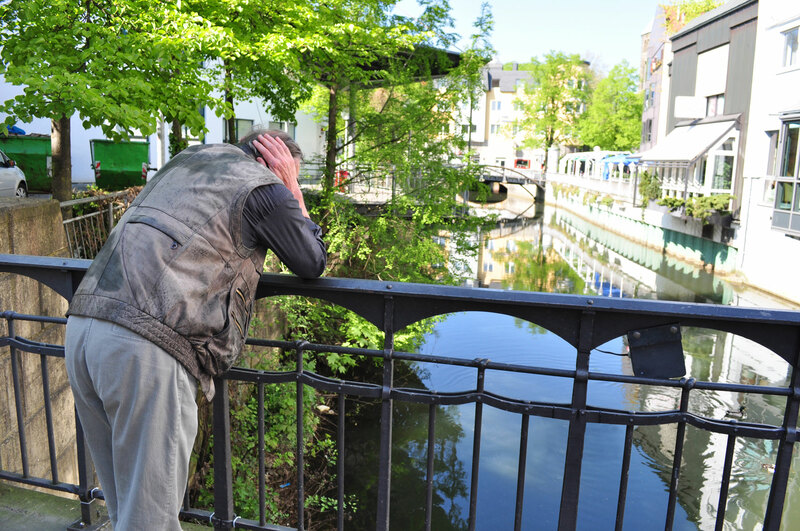 In their role as performer, the visitor imagines themselves in the place of the Dresden inhabitants who must have closed their ears tightly in fear to shut out the horrendous noise of the explosions 65 years ago. 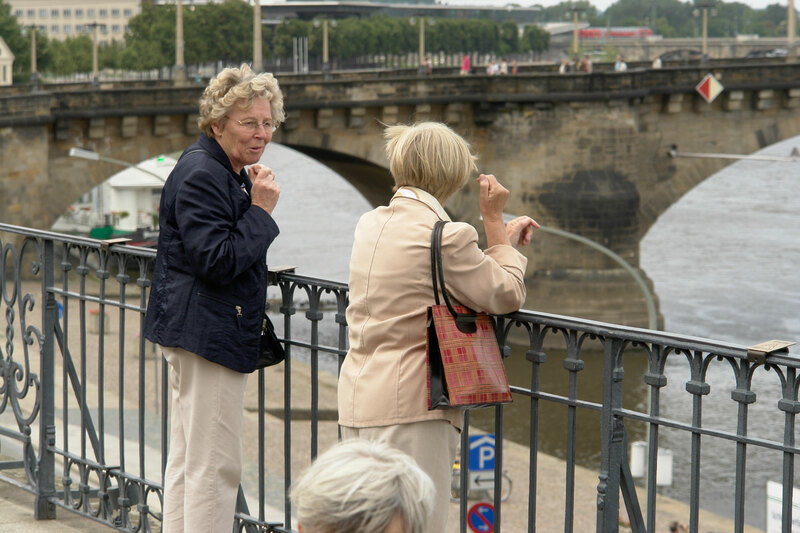 When one leans on the balustrade the sound of airplanes and explosions is transmitted from the swinging balustrade through one’s arm directly into the inner ear. Realised with the sponsorship award of Saxon Ministry of Science and the Fine Arts, with friendly support from the Trans-Media-Akademie Hellerau and Schlösser und Gärten Dresden, Geschäftsstelle Zwinger / Brühlsche Terrasse. 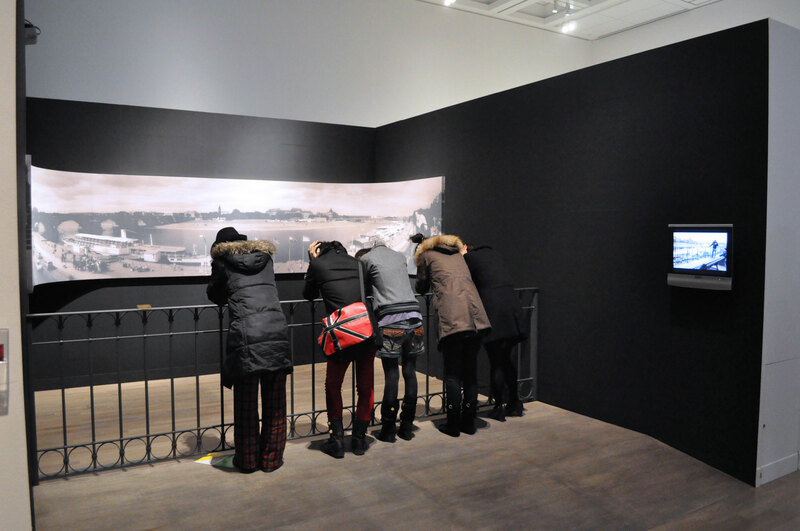 Visitor listening to the sound of WWII airplanes and explosions and becoming performative memorials. For the exhibition Bilderschlachten, part of European Media Art Festival Osnabruck 2009, I was invited to create an Osnabrück specific version of my work touched echo. The icons show the date of the first air raid on Osnabrück during World War II: 20.6.1940. 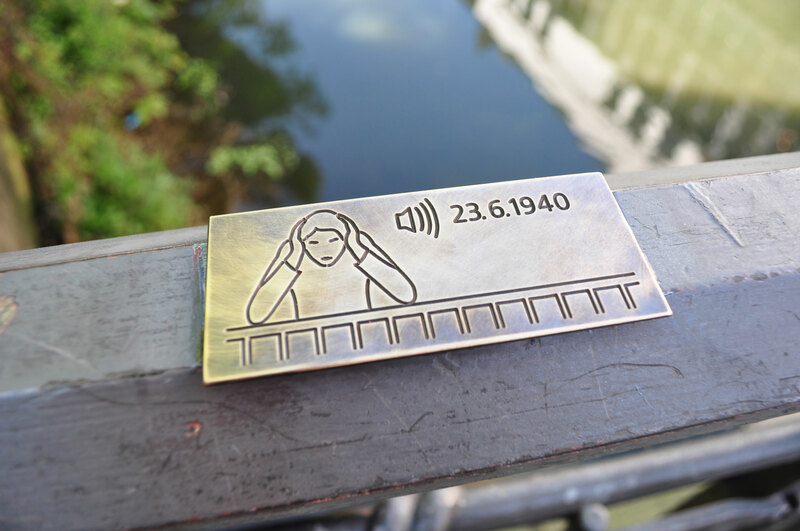 Located on a bridge in the city center of Osnabrück the public space installation is heading into the direction, where English B-25 bombers attacked from. In their role as a performer visitors put themselves into the place of the people who shut their ears away from the noise of the explosions. 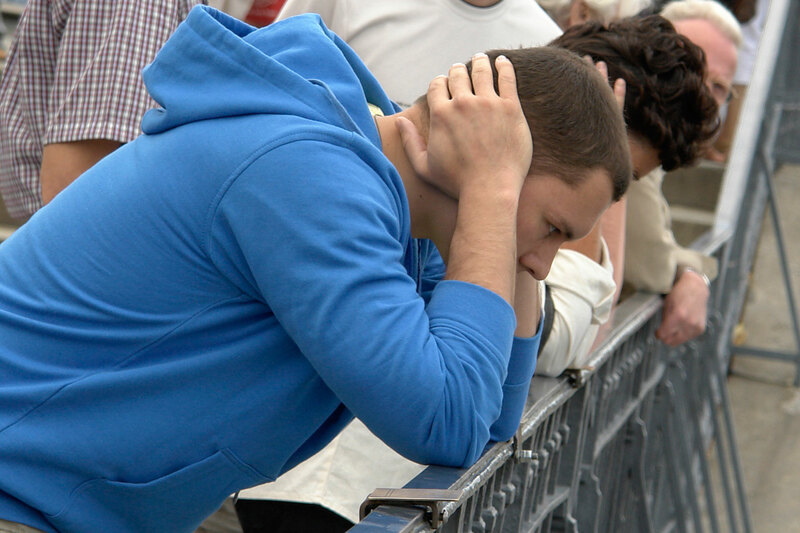 While leaning on the balustrade the sound of airplanes and explosions is transmitted from the swinging balustrade through their arm directly into into the inner ear (bone conduction). After receiving the Award of Excellence at the Japan Media Arts Festival, I was invited to exhibit a documentation of my site specific installation touched echo at the National Art Center Tokyo.